In our tour of the Lake Geneva, Wisconsin mansions that have populated the lakeshore since the late 1800s, this month we’re going to make a stop in the town of Lake Geneva and spend a day at the Hotel Geneva. The hotel was designed in 1911 by Frank Lloyd Wright. This wonderful example of Wright’s design style met its fate with the wrecking ball back in the 1970s, so we’ll have to resort to time travel and journey back to the 1950s to enjoy this once-popular hotel. As we walk down Broad Street, toward the lake, off to the left we spot our destination. 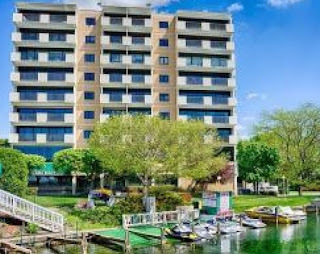 The hotel is situated across the street from the Riviera Building that anchors the excursion boat dock and public beach. 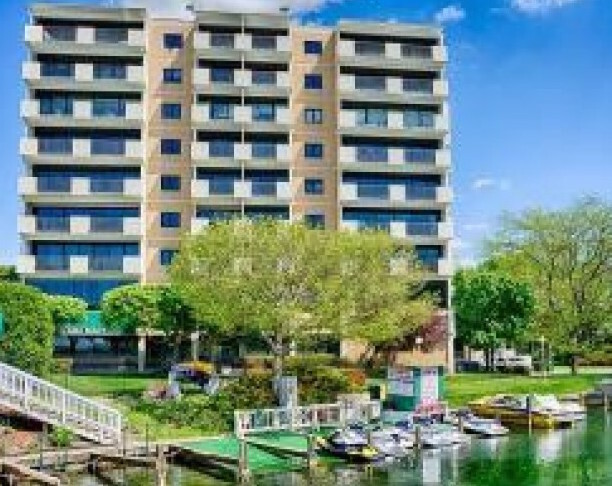 The Hotel Geneva's advertising promises to offer beautiful views of the lake and close proximity to restaurants and shops. The hotel opened in 1911 under the name, The Geneva Inn, only to have its name changed two years later to the The Geneva, and that’s the moniker that has stuck until now, some 40 years later. 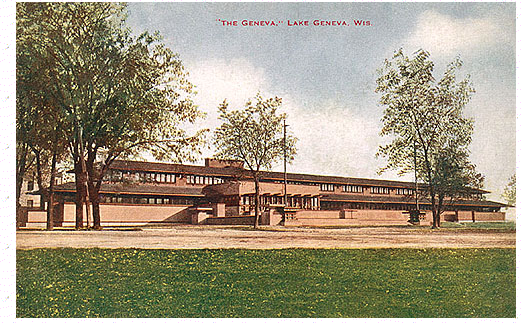 I hear that the locals call it “The Geneva Hotel” although it has never officially been called by that name. The facility offers 70 rooms, each with a bath, dancing and a restaurant that has featured fish and chicken dinners. It is very popular with the Chicago crowd that come on the train on Friday nights and return on Sunday. But since we’re here on a Thursday, and only staying one night, we’re blessed with a room that looks out toward the lake and the Riviera that was built about 20 years ago. We need to see if any entertainment is scheduled for tonight in the Riviera ballroom. Well-known dance bands have played there, and if we're in luck we can catch one this evening. Things do get a bit busy in the hotel bar on weekends, but nothing like back in the 20s when it’s said that tunnels from various stores nearby led into the hotel basement to facilitate liquor deliveries. The tunnels also offered ways of escape for the clientele whenever the place was raided. 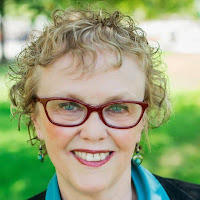 These reports have never been substantiated, but during that period Chicago gangsters such as Al Capone, Bugsy Malone, and others, were said to be in residence at various locations near Lake Geneva, lending plausibility to the stories. The basement level bar is accessible from the street and does a fair business with the locals during the week. Same for the hotel restaurant, which serves food with an Asian flair. A nice change from the fried chicken and fish they used to serve. After dinner we'll sit out on the patio that faces the inlet where people dock their pleasure boats and watch the goings on. Before long we turn in and, since check out is 11:00 am, we’re soon be on our way to another interesting mansion on the lakeshore to be featured next month. And here we are back in 2016. The ensuing years weren’t kind to the aging hotel and after a fire in 1970, the building met its fate. Thankfully, many artifacts that were retrieved from the building before it was torn down are still around and some have appeared on eBay, while others can be seen at the Geneva Lake Museum and the Lake Geneva Public library. Unique in their art deco design, many have made their way into private collections. The art deco features included this stylized tulip that appeared in many places in the building. A multi-story condo building now stands on the property. A webcam sits atop the building, offering a wonderful view of the Riviera and the lake. A view none of the Geneva Hotel guests ever enjoyed since the building was only 2 stories high. 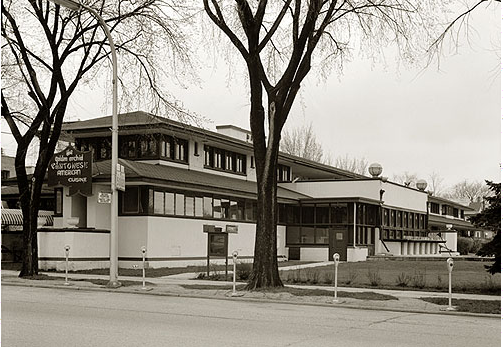 Today, many fans of Frank Lloyd-Wright mourn the loss of the building and the many treasures that got away. I have vague memories of it, but what child is interested in the history of a building or the significance of it's designer? Resources: Pictures of the 1967 view, 1950s brochure, Lake Geneva Tulip Blurb are all from the Wright Studies at Steinerag.com where you can find links to sites on Frank Lloyd Wright and his connection to Lake Geneva. 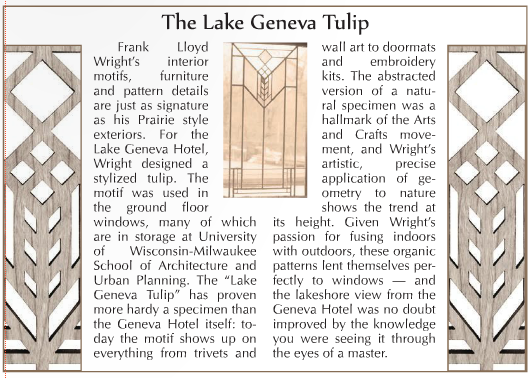 Labels: Frank Lloyd Wright, Geneva Hotel History, Lake Geneva Wisconsin. 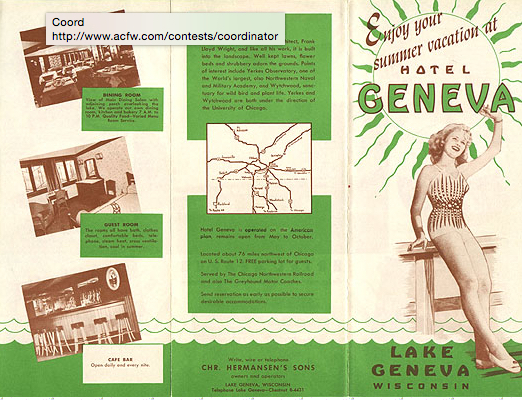 Because of you, your Love Finds You book, and all the cool info you share, I desperately want to visit Lake Geneva someday! Great article! Thanks, Pamela. I thought it was a school at first and after I read the post, went back for a second look. But I still think it looks like a school. Ha.